One of Canada’a largest cell carriers, TELUS, is expected to launch the Samsung Galaxy S5 Active in the upcoming weeks. 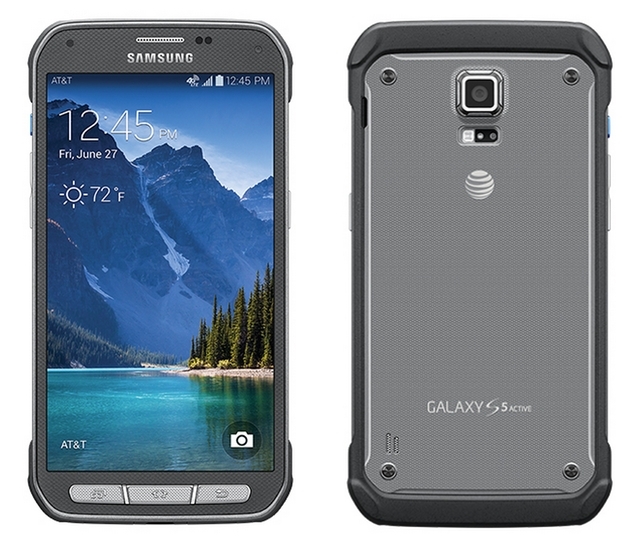 As some of you may already know, the Galaxy S5 Active is currently only available in the U.S. through AT&T. Samsung announced the Active variant of its flagship smartphone earlier this year, confirming an exclusive deal brokered with AT&T. The Galaxy S5 Active remains limited to the U.S., but this may soon change as TELUS prepares to add the device to its lineup of smartphones. So, how do we know that TELUS is planning to launch the Galaxy S5 Active? Several sources, including AndroidHeadlines, report that a “reliable tipster” shared this information. According to the mysterious tipster, TELUS will release the Samsung Galaxy S5 Active sometime next month (no specific date announced yet). This isn’t an official confirmation by any means, but it’s promising news for consumers in Canada who’ve been waiting patiently for Samsung to release the rugged, ultra-durable variant of its flagship smartphone. The Samsung Galaxy S4 Active was an instant success thanks to its water/dust-resistant body. The original Galaxy S4 was not water or dust resistant, and many users ended up damaging or ruining their device by exposing it to water. Of course, this is a common problem experienced with all smartphones and devices that lack water-resistant bodies. To solve this issue, Samsung released the Galaxy S4 Active, which featured a water/dust-resistant shell. The Galaxy S5, however, is already Ip67 water/dust-resistant. So, why did Samsung feel the need to release an Active variant of the Galaxy S5? There are a few new features added to this variant, including a more durable body. As you can see in the photo published above, it’s a larger body that features heavy-duty rubber bumpers. This means you no longer have to worry about damaging your device when you drop it on the ground, as the rubber body will absorb the blow. The Galaxy S5 Active also features an Active Key that, when pressed, brings up the Active Zone. The Active Zone is a hub of apps and tools for active individuals, some of which include a Barometer, Compass, Flashlight and S-Health app. Other specs remain pretty much the same as the original Galaxy S5, including a 5.1-inch FULL HD Super AMOLED display (1920 x 1080 resolution), Qualcomm Snapdragon 801 quad-core processor, 2GB of RAM and 16G storage. What do you think about the Galaxy S5 Active? Let us know in the comments section below!